Russian gold medalists, Yulia Gushchina and Ksenia Ryzhova, are “shocked” the media construed their podium kiss as an act of protest against a law banning gay propaganda. The pair were insulted that attention was diverted from their sporting achievements. The kiss that followed the sportswomen’s victory in the 4x400 women’s relay at the Moscow World Athletics Championships on Tuesday was widely interpreted by global press as an act of defiance against a bill banning gay propaganda to and in the presence of minors. Both Ksenia Ryzhova and Yulia Gushchina were “shocked and insulted” by the claims and stressed the kiss was nothing more than a celebratory peck on the lips. “Yesterday, I was telephoned 20 times by various publications and instead of congratulating me they decided to insult me with these questions,” she fumed, quoted by the ITAR-TASS news agency. She added that it was not just “insulting” for her and her teammate, but also for their coaches. “Myself and Yulia are both married and we are not having any kind of relationship,” she stressed. Controversy surrounding the Russian law against disseminating homosexual propaganda among minors has eclipsed the World Championships in Moscow. 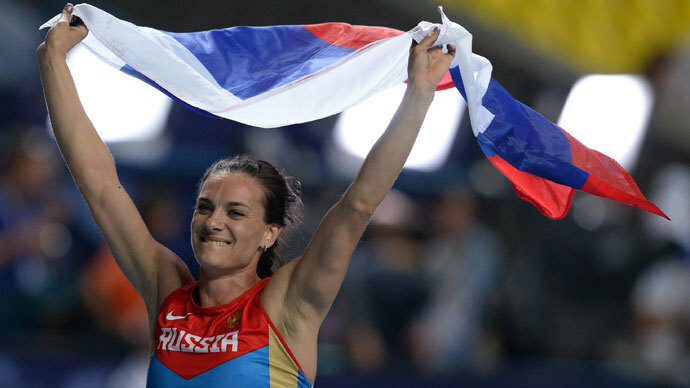 Russia’s gold-medal-winning pole vaulter, Elena Isinbaeva, entered the firing line when she made statements at a press conference regarding the law. She commented on a protest by Swedish athletes Emma Green Tregaro and Moa Hjelmer, who painted their fingernails in rainbow colors in support of LGBT rights. "Maybe we are different than European people and people from different lands. We have our law which everyone has to respect,” Isinbaeva, 31, said at an English-language press conference. “When we go to different countries, we try to follow their rules. We are not trying to set our rules over there. We are just trying to be respectful." Her words were branded as “homophobic” and triggered a flurry of criticism in the western press. Following the press furor, Isinbaeva, clarified that she was against discrimination towards sexual minorities and that she had been misunderstood. 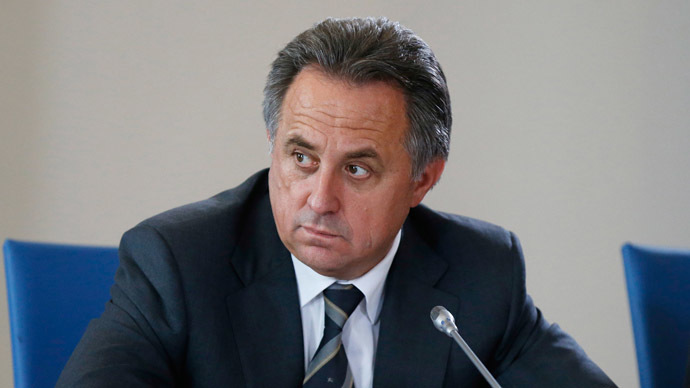 Russia’s Sports Minister, Vitaly Mutko, addressed international controversy over the “gay propaganda” law on Monday. 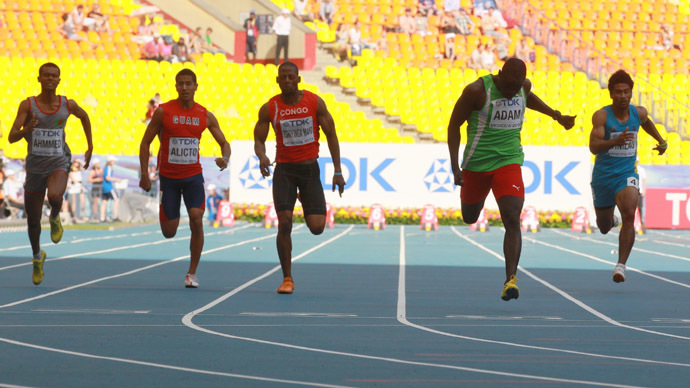 Broaching the calls for a boycott of the Winter Olympics in Sochi next February, he assured that no athletes or visitors at the Sochi Olympics would suffer any infringements of their rights. The legislation, enacted in Russia on June 30, introduces fines for propagandizing non-traditional sexual relations to minors, including in the media, on the internet and via viral adverts. 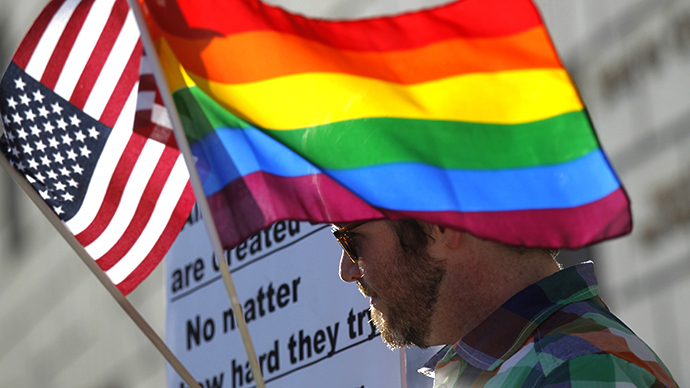 Critics of the legislation argue the law encroaches on the rights of the LGBT community and the vague wording allows for anyone voicing support for the movement to be persecuted.